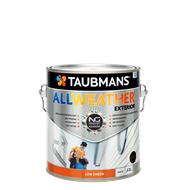 Taubmans All Weather Exterior Low Sheen offers superior performance against leading competitors, making it the perfect choice for exterior surfaces. 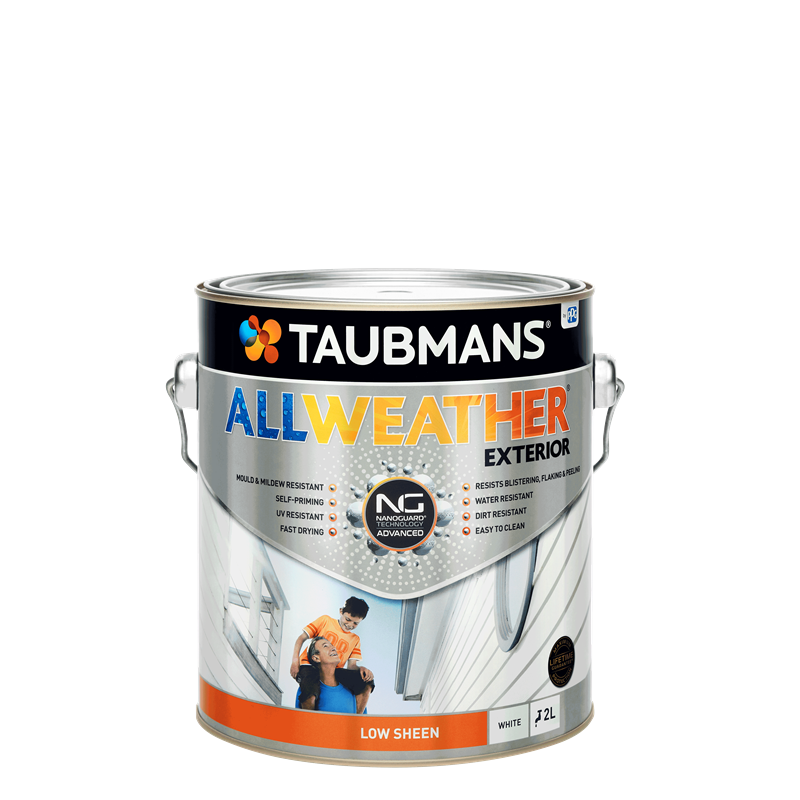 Engineered with Nanoguard® Advanced Technology, it has an interlocking molecular structure that works to create a protective shield, so dirt can be washed away without compromising the quality of the paint or damaging the finish. 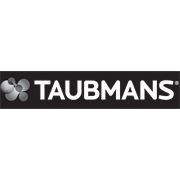 It comes with a lifetime guarantee* against peeling, flaking and blistering.